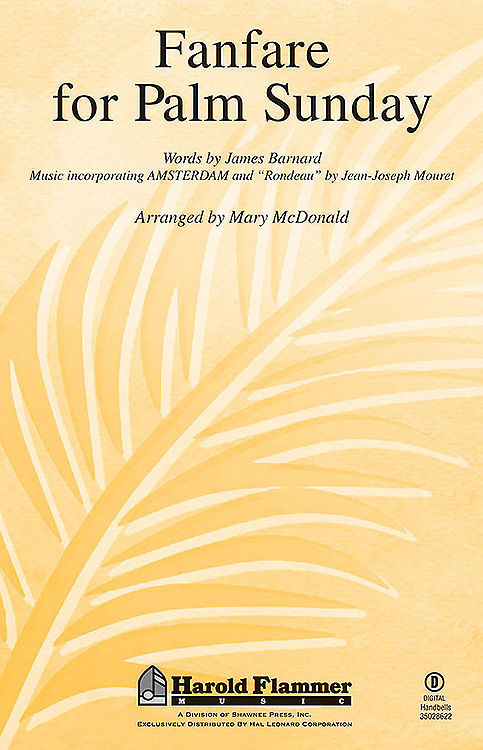 A classic touch adorns this Palm Sunday anthem coupling a well-respected hymn tune with the celebrated theme by Mouret, made famous as the theme of “Masterpiece Theatre.” A shining example of the elegant blending of two styles into pleasing unity, the subject matter and incorporation of children make this as useful as it is beautiful. Not beyond the comfort range of the developing choir, this choral will be welcome in church music programs of any size. Trumpet part and children's choir part included. Available separately: SATB, Digital Handbells (3 octaves, 5 pack). Duration: ca. 2:32.